This wild and gorgeous property is in the Illinois Valley near the California border, outside the town of Takilma. It contains 1.3 miles of riverfront along the East Fork Illinois River; older bottomland forest with large Port-Orford-cedar and Pacific yews, wetlands and beaver ponds, Jeffrey pine savanna and meadows on serpentine, mixed evergreen forests, chaparral, and seasonal streams. This complex stretch of the East Fork provides spawning and rearing habitat for steelhead and Chinook and the federally listed coho salmon. Other wildlife that use the land include black bear, cougar, gray fox, mink, Pacific fisher, red-shouldered hawk, spotted skunk, declining western pond turtles and yellow-legged frog. The Illinois Valley and surrounding federal lands support the highest concentration of rare, endemic, sensitive, and endangered plants in the United States. 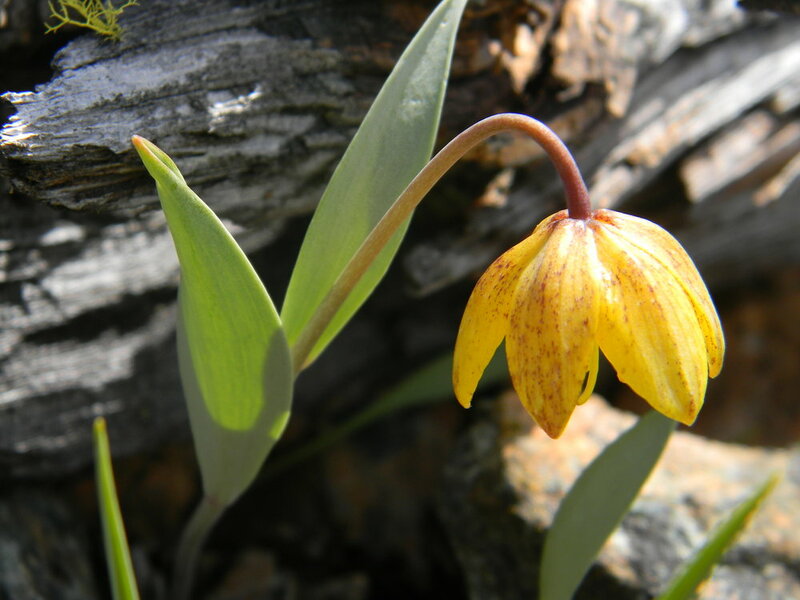 For example, this property is home to a number of rare and endemic flowers such as Howell’s fawn lily, red larkspur, Siskiyou fritillary, Siskiyou trillium, slender meadowfoam, and Waldo rockcress. This diverse property is within the East Fork Illinois River Conservation Opportunity Area (Oregon Conservation Strategy- ODFW) and also within SOLC’s Upper Illinois River Focus Area. It is adjacent to the 1760-acre Waldo-Takilma Area of Critical Environmental Concern (BLM), protected due to rare plants, critical wildlife connectivity and historical land use, and the Rogue-Siskiyou National Forest – a large swath of federal land that includes the Siskiyou Wilderness. It is downstream of another private property conserved with a conservation easement held by SOLC. In 2001, the Meadows Family, LLC conserved this property, then 212 acres. Because of their dedication to the conservation of the East Fork Illinois, they later purchased additional lands in 2015 and 2017 and amended their conservation easement agreement to add 46.6 acres of beautiful and undeveloped floodplain forest to the project. The Meadows community also spearheaded a campaign to help fund another nearby conservation easement on the East Fork. Please note this property is privately conserved and not open to the public. This video was captured with a trail camera set up by the owner of this conserved property located along the East Fork Illinois River. Meadows community suspension bridge with staff and volunteer lands committee members during an annual monitoring visit.